Black Tie has found its modern counterpart. 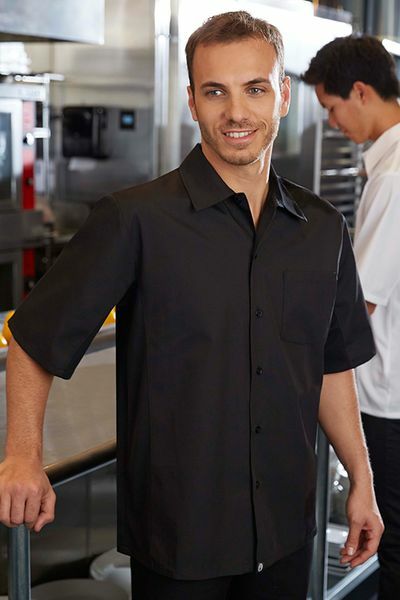 In the true color of elegance, our jet BLACK Cool Vent Short Sleeve Dress Shirt for men creates a sophisticated and contemporary look for your restaurant staff. From managers and waiters, to bar tenders and hosts, it is the perfect modern dress shirt with avant-garde lines created by the Cool Vent accents. 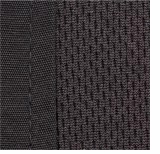 This shirt is soon to become a favorite, the innovative Cool Vent panels that run along the sides of the shirt wick away moisture and allow for cooler air flow. 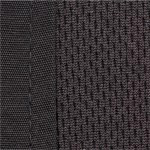 This 4.4 oz poly/cotton fabric is easier to keep looking sharp as the poly adds a more colorfast and wrinkle-free component to the blend. This shirt can be customized for your restaurant or cafe with corporate logo embroidery.